According to documents leaked from within the NYPD to Apuzzo and Goldman, the NYPD knew that Burke was behind the website thanks to a “confidential source,” who had infiltrated activist circles and provided information as far back as 2005. The identity of the confidential source remains unknown! Beyond Burke other organizers were targeted including William DiPaola and B. Neubauer who along with Burke were members of the environment direct action organization Time’s Up!. The NYPD followed connections, some of them tenuous to say the least, all the way to New Orleans where undercover police officers attended the People’s Summit, and reported back to their superiors in NYC. One of their reports erroneously identified an activist named Jordan Flaherty as “a main organizer” of the summit. Flaherty did introduce a film at an associated film festival, but was not an organizer of the festival or the summit. News of the NYPD’s New Orleans excursion came to light as a result of the same documents leaked by sources withing the NYPD, possibly by a disgruntled officer frustrated by seeing the department wasting time and resources, or maybe just with their bosses generally, we don’t know. 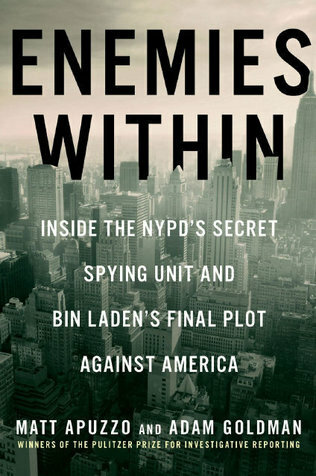 Appuzo and Goldman wrote about the Louisiana spy mission all the way back in March of 2012, but it wasn’t until this September, with the release of their books and accompanying source documents that a broader picture of the surveillance effort came to light. These newly revealed details aren’t the first indication that law enforcement might be actively trying to infiltrate activist communities within New York City. In November 2009 the FBI brought a case to trial in Austin, Texas, but failed to convict Kate Kibby for allegedly threatening the FBI snitch Brandon Darby via email. Prior to the trial the FBI offered Kibby a deal on two occasions to make the charges go away were she to agree to become an informant herself, either locally in Austin or in New York City. Kate turned down that job offer, but sadly it is likely that someone out there didn’t turn it down and is posing as a friend and comrade of activists in NYC today.